Do you love brownies? Is there someone on your Christmas shopping list that would appreciate a delicious brownie sampler pack? 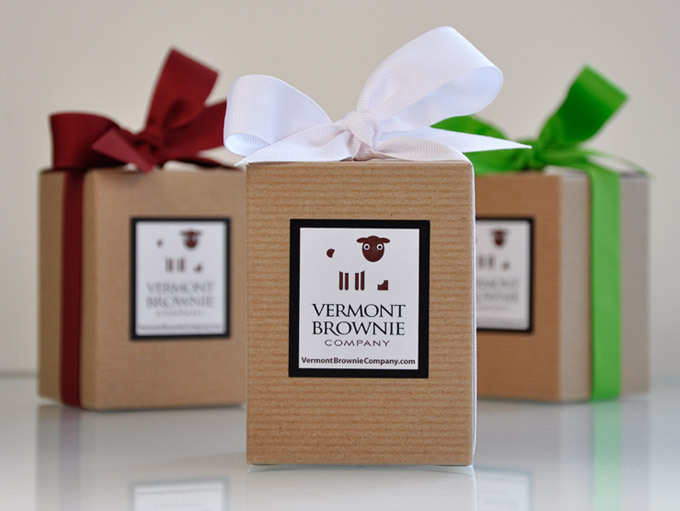 If you answered yes, then you're going to love this Vermont Brownie Company giveaway! 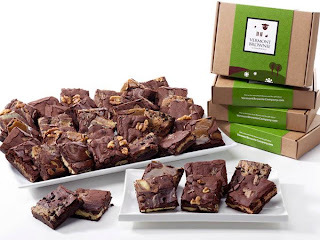 The Vermont Brownie Company offers a variety of mouth-watering chocolate gourmet brownies that are made from all natural products. Their unique flavors are sure to please any chocolate or brownie lover! As much as I love chocolate and gourmet brownies, it was very difficult to choose a personal favorite. Since I also love coffee, I'm going to tell you about the Espresso Dulce de Leche brownie. It's to die for! They grind up Green Mountain Coffee Roasters Dark Roast Espresso and swirl in a thick layer of Dulce de Leche (homemade milk caramel). If that isn't enough, they top it off with fresh espresso beans and sea salt. How do you like to eat your brownies? The Traditional Way! Right out of the bag! All of our brownies are individually wrapped so they stay fresh for up to 14 days. Consume without delay for maximum taste experience! Bite Size! Cut each brownie into six bite size pieces for a quick dessert that you and your guests will love! With Ice Cream! Top your favorite ice cream with your favorite brownie chunks! Or simply enjoy with a cold glass of milk. Yum! The perfect gift! All of their brownies come individually wrapped in a signature gift box. This giveaway will end December 15th at Midnight EST. Disclaimer: I received a complimentary gourmet brownie sampler from the Vermont Brownie Company for the purpose of writing a review and hosting a giveaway. Regardless, I only recommend products or services I use personally and/or believe will be a good fit for my readers. The views and opinions expressed on this blog are purely my own. Results may vary. No monetary compensation was received. I want to try the espresso dulce de leche flavor. yummy! It would have to be the walnut chunk brownie. YUM!! They all sound yummy but I have to go with the Walnut Chunk Brownie! I'm going with the Espresso Dulce de Leche Brownies! I love walnuts so Walnut Chunk would be great! The White Chocolate Raspberry looks tasty too! 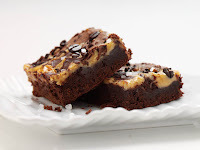 Boosted blog as Amy Orvin-Amy Orvin says "Boosted on 12/3/12 #575"
I would most like to try their Signature Brownie! White Chocolate Raspberry Brownie sounds awesome! The White Chocolate Raspberry ones sound good! I would like to try the Walnut Chunk Brownie. The espresso dulce de leche. Wow, the Maple Toffee Crunch sounds pretty amazing! I'd love to munch on that. White Raspberry Truffle -- yum!! The Maple toffee crunch sounds so divine. I can see how it would be tough to choose! I'd love to try the white chocolate raspberry. 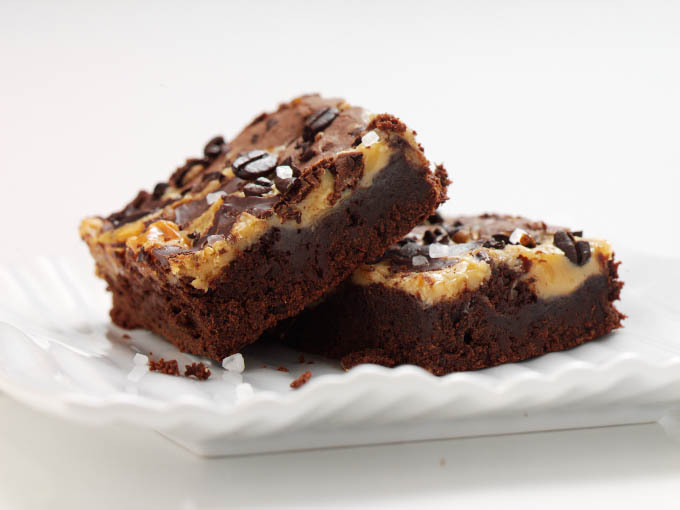 I would love to try the Peanut Butter Brownies! I think I would like the Dark Chocolate Chevre! Would like to try the peanut butter!